Komal's water demineralizer employ the modern ion-exchange technology to give to chemically pure water. A demineralizer removes these minerals from the raw water by an ion- exchange process. This process first exchanges the cations of the salt for the hydrogen ions and, then, exchanges the anions of the salt for the hydroxylions. …gives you chemically pure water – instantly and continuously, year after year. … has durable resins with the highest demineralising capacity. … Uses resins of the highest quality. … comes with the conventional conductivity meter. … is extremely easy to operate and need practically no attention after it is installed. 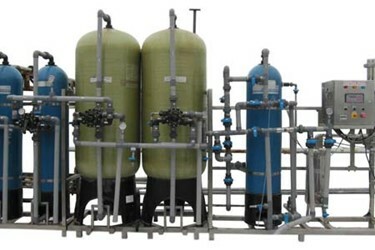 … can be connected directly to any water supply main. … is available in a wide range of flow – rates.